You may have seen ‘horchata’ sold at many places throughout Barcelona during the summer months, but what actually is it? Well, it’s very much the go-to drink for most Catalans on a hot, summer day. Horchata is sold in many different variations throughout the world, however the Catalan horchata is very much unique. 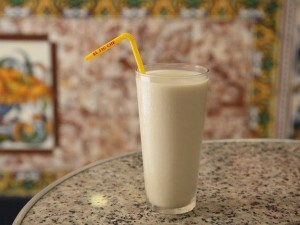 Despite its milky appearance, horchata in Barcelona is perfectly fine to drink for those who are lactose intolerant. Horchata (Catalan: orxata) in Barcelona is made up of 3 simple ingredients: water, sugar and tigernuts – we can assure you it has nothing to do with tigers or nuts. 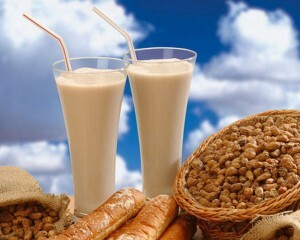 In fact, tigernuts are a plant consisting of healthy fats and vitamins said to reduce cholesterol, meaning your body will most certainly agree with an ice-cold glass of horchata. 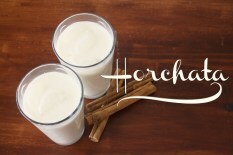 The taste of horchata can be described as sweet, milky and nutty (although there are no nuts or milk involved) with a slightly bitter aftertaste. Where can I get one in Barcelona? Conveniently located near the beach, meaning you can cool off here with a cool horchata on a hot summers day, El Tío Che Horchatería serve up one of the best horchatas in the city as well as tasty sandwiches and desserts, ideal for those looking to grab a bite to eat. This place is often busy so be prepared to queue – it’s worth the wait! Address: Rambla del Poblenou, 44-46. This delicious dessert store is located in the Eixample neighbourhood of the city and has been around since 1920 – which speaks wonders about their products and service. 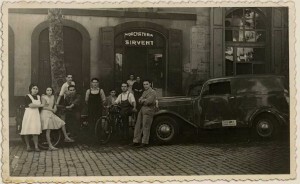 Sirvent is often busy and you may have to wait a little, but we promise their horchata, amongst many other things, is also well worth the wait. Famous for its Turrón (nougat), Planelles Donat also serve up some of the best horchata in the city which pairs well with one of their famous bars of nougat or a tasty ice cream! 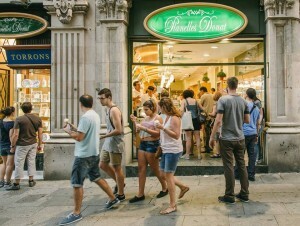 They are conveniently located right in the heart of Barcelona, in the Gothic Quarter, making Planelles Donat the perfect spot for a horchata break amidst a day of sightseeing in Barcelona. Have you tried horchata? Let us know what you thought in the comments below! This entry was posted in Home, Restaurants & Food, Tourist Guide and tagged Barcelona food, barcelona food and drink, barcelona tourist guide, catalan culture, summer in barcelona, things to do in barcelona. Bookmark the permalink.